Tonight begins the holiday of Rosh Hashanah, the Jewish New Year, and thus I will be offline from tonight through Tuesday night in order to celebrate. 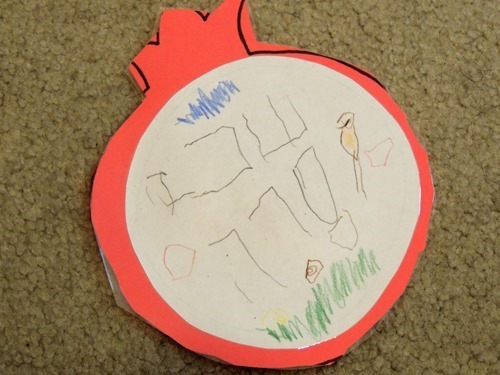 Simon brought home a few projects from school that I am happy to share here today! 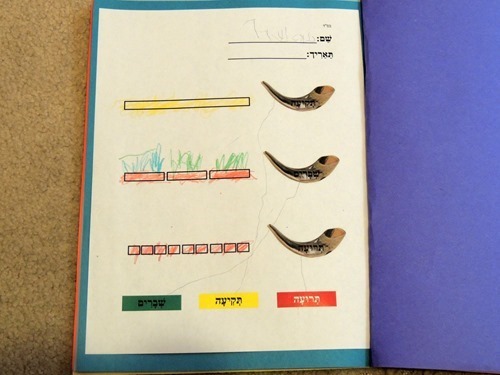 This is a pomegranate that says Shana Tova (Happy New Year) on it. 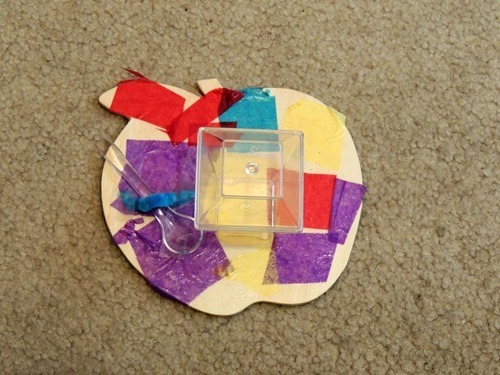 There is a magnet on the back so it can be hung up. 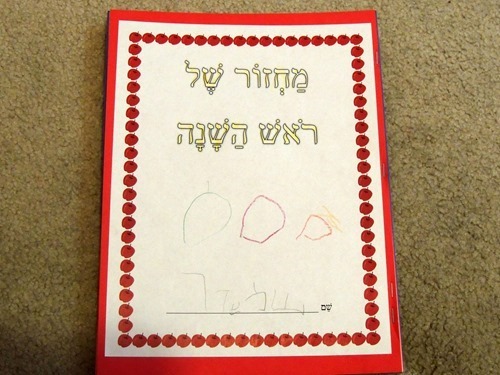 This is the cover of Simon’s book about Rosh Hashanah. 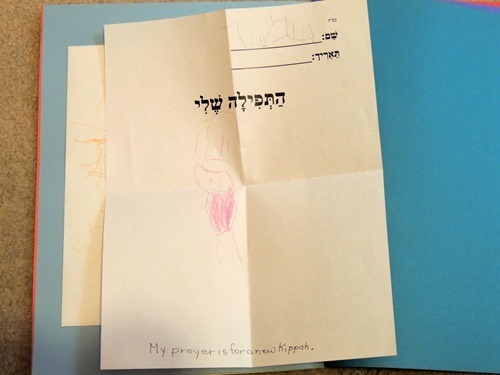 This shows the three things we do on Rosh Hashanah – asking for forgiveness, praying, and giving to the poor. This is the sounds of the shofar. 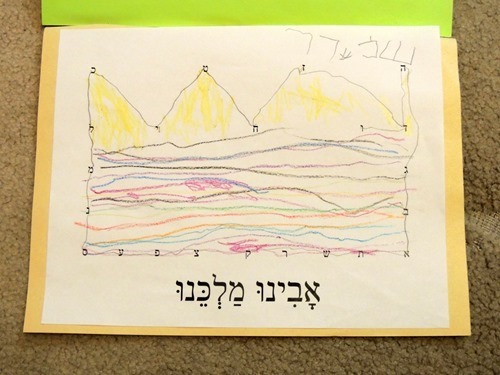 Here is a prayer that Simon wrote – that he wants a new kippah. Which is funny, because he just got two new kippahs in Israel! 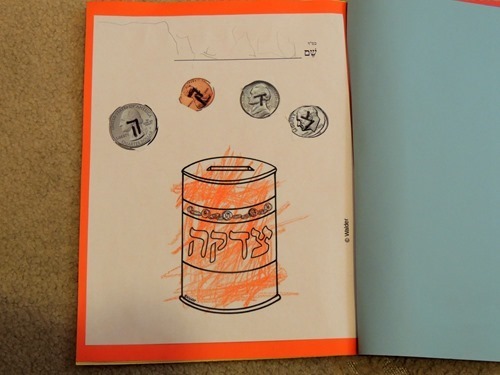 This is a picture of a tzedakah box, which is where we put money for poor people. 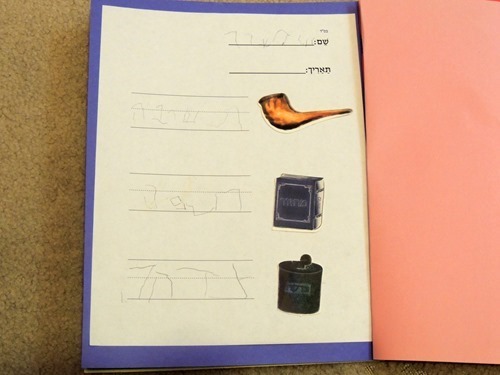 The last page is a picture of a crown. And this is Simon’s honey dish! For everyone celebrating, I wish you a sweet new year!